Ana and Kris were referred to us through their wedding planner: Bella Sposa Events. We’ve worked with Bella Sposa Events before, and we are so excited to work with them again for Ana and Kris’ wedding, as it promises to be stunning! As excited as we are for their wedding day, we can tell that they are even more excited, and it’s so cute to see. When Kris was looking at Ana during their engagement photos, his face just lit up. Ana’s laughter during the session couldn’t have been any sweeter either! We could tell that Ana and Kris both wanted to make sure that their pictures were great, so they were laser focused on all our direction when we were posing them. The moment though when they gave their attention to each other was heart stopping. You could tell that the world melted away from around them and only the other person remained. Those moments were by far the sweetest, and when set to a background as stunning as Rock Springs at Kelly Park, we know these are moments they will treasure for a lifetime. Ana was telling us that the one detail she is most looking forward to on her wedding day would be her wedding dress. YES! There are so many different styles and shapes of wedding dresses that it can be a daunting process to pick one out, but once you find the perfect dress, you know you have a show stopper. Ana’s flower girl is also excited about a wedding dress, but not Ana’s. One of Kris’ daughters is going to be the flower girl, and is so excited to wear “her wedding dress.” When Ana told us this, we thought it was the sweetest and cutest moment. It is beautiful to see these two families joining together and it being so important for Ana and Kris that the kids be involved in the ceremony. 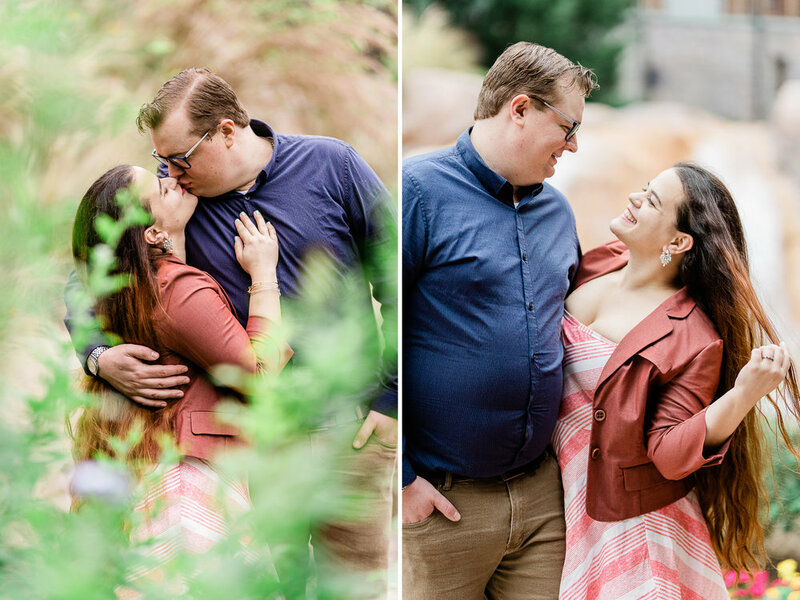 Ana and Kris will be getting married at Club Lake Plantation in May, and we are so excited to capture not just a marriage, but a joining of families. Congratulations Ana and Kris! May is just one short month away! 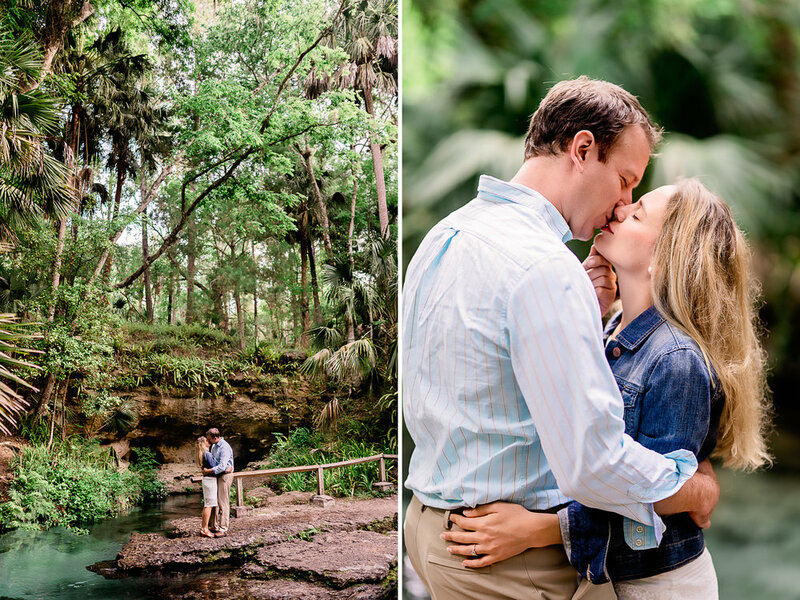 Kate and Tom drove all the way out to Orlando from the Tampa area to meet with us for their engagement session! 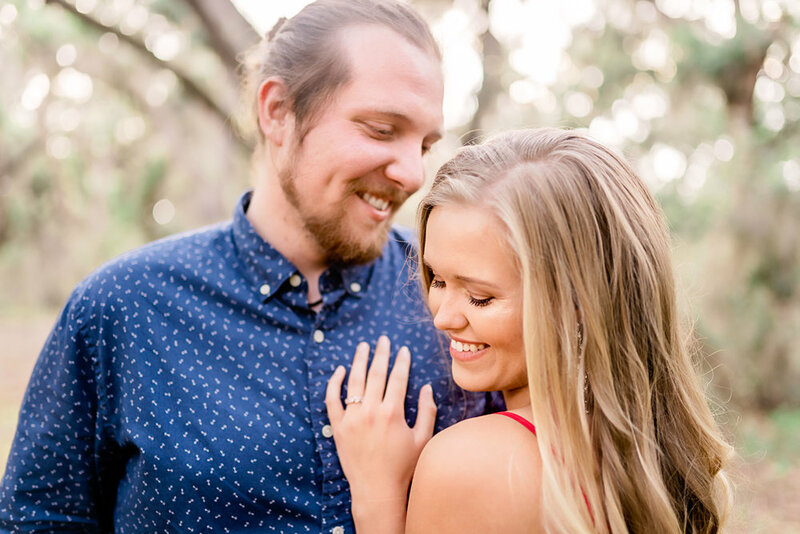 Kate told us about some of the details she was hoping for in her engagement pictures (large oak trees with spanish moss and an open field at sunset), and trusted us and our vision so much that her and Tom made the drive to bring that vision to life! We are always honored when couples see our work and trust us to capture their romance just as they had hoped. Knowing that Kate loves large oak trees and spanish moss, we picked Lake Runnymede. There are plenty of large oak trees and spanish moss, but then you also have open fields. This was beyond perfect because Kate and Tom brought a picnic basket and blanket to take some photos with. Props are such a great way to incorporate a wedding’s theme into the engagement session. Kate and Tom are having a picnic themed wedding, and these pictures couldn’t be more perfect for that! When Kate was telling us her vision for the wedding, we were falling in love too. Throughout their session, Kate and Tom were all giggles. It’s beautiful when a couple is so in love they fawn over each other. It really brings us joy to capture that love, and not only could we see their love, but we could hear it in their soft giggles! Tom was great at keeping Kate all smiley, and when we needed, he knew just what to say to get out a good laugh from Kate. It was really cute then watching Tom break into laughter when Kate found him funny. This session was filled with greatness. We had a great couple who have a great relationship, we were at a great location, there was great weather, and Tom and Kate looked great! Kate’s choice of dress was beautiful. 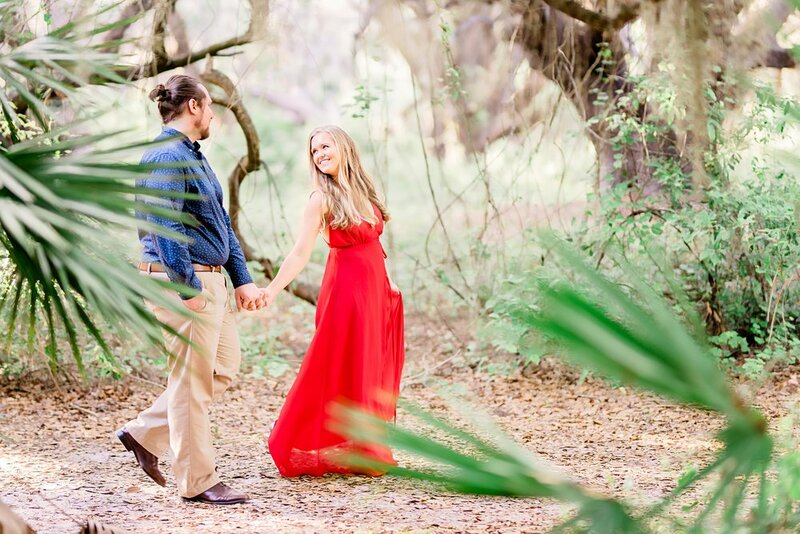 We love long flowy dresses, and it felt very upscale while also fitting into a picnic theme too! Tom’s wardrobe looked like he was ready to take Kate out on a nice date and share a nice bottle of Pinot Noir, or sit down on a picnic blanket and pull out a specially chosen Pinot Grigio to enjoy the sunset with. Kate and Tom, we are so excited for your wedding. You two are a beautiful couple, and we can’t wait for you both to experience one of the happiest days of your life soon! 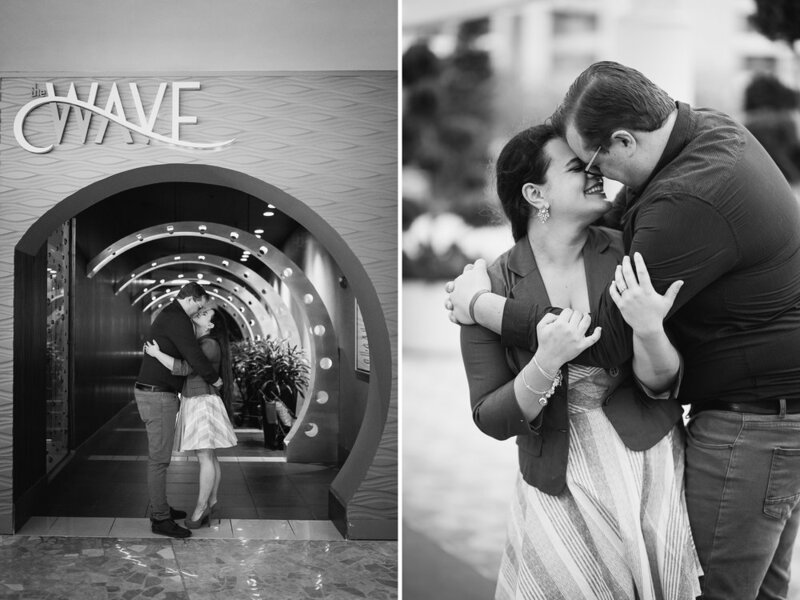 Guys, look at these photos from Brianna and Matthew’s engagement session! Aren’t they GORGEOUS!?! We were already so excited to photograph their wedding this November, but after their engagement session we CANNOT wait… Is it November yet? We first met Brianna and Matthew at the Florida Wedding Expo we did in January. They were drawn to our work when Brianna noticed that one of the images we were showcasing was at her and Matthew’s venue, The Royal Crestroom. When we sat down for a consultation with them, we bonded over Brianna also be a Seminole alum like Amanda and myself, and Matthew being a teacher and fan of baking (which Amanda and I both were, and Amanda loves to bake). Brianna and Matthew chose Bok Tower for their engagement session because of its natural beauty and huge variety of backdrops. We have shot at Bok Tower a few times, and one thing we have always loved about it, besides its incredible beauty, is the variety it offers! There are so many beautiful spots, and they all look different during different times of the year. It really is a great setting to capture true love, and Brianna and Matthew definitely made the right choice in selecting Bok Tower Gardens. 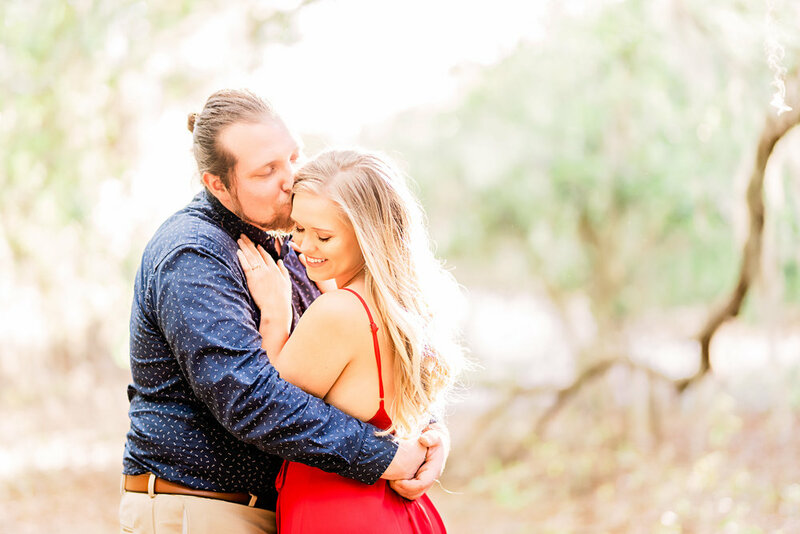 Just before wrapping up Brianna and Matthew’s engagement session, we decided to make a stop by the orange groves that line the drive up to the Bok Tower Gardens. We’d never shot at the groves before, but with Brianna’s dusty rose colored dress, and Matthew’s blue suit, we knew it would look stunning! We made it to the orange groves just before sunset, and the field across from the trees was a golden blaze with how the sun was hitting it. Brianna and Matthew were so excited to jump into that field to capture some amazing photos with the iconic tower in the background. Brianna and Matthew, we had such a blast with you two at your engagement session! We cannot wait to celebrate your love and marriage this November! We met Chelsea and Mich (pronounced like the first syllable of Michigan) for the first time during their engagement session on Monday! We arranged to meet in front of one of their favorite Disney Resorts, The Wilderness Lodge. Choosing one of the resorts was a great idea because it’s spring break this week, and the parks are PACKED. That means not only is it crowded, but all of the perfect picture spots are going to be busy so there will be a wait to use them, AND after waiting, there are still going to be a ton of park guests in the photos. Plus, it’s way more unique to do a session at one of Disney’s super themed-out resorts than one of the parks! We loved the idea, and Wilderness Lodge is our favorite Disney Resort too! Chelsea and Mich were such a cute couple. Being in front of a camera can be awkward sometimes, but Chelsea and Mich were totally comfortable and natural. We’re pretty sure that when they were looking into each other’s eyes, they forgot we were even there. They were giggling non-stop (which we LOVE), and you can really see that they were having the time of their lives during their session. Engagement sessions are incredibly important to Amanda and me because not only do they help you get to know your photographer and get you comfortable with them and the camera, but because they are a celebration of your love and the journey you’ve embarked on together forever. Seeing Chelsea and Mich loving every moment of their session really filled our hearts with joy. Chelsea and Mich both work for Disney as part of the Culinary team and actually met while working at The Wave located Disney’s Contemporary Resort. Knowing this, we had to make a trip over there to capture where their relationship all began. As the sun was setting, we got some incredible pictures of Chelsea and Mich with the monorail and Cinderella’s Castle in the background. Congratulations Chelsea and Mich on your engagement! We wish you both all the happiness in the world! Thank you for allowing us to capture this moment in your wedding planning journey. Church Street in Downtown Orlando is beautiful, but we always find that it is just a little more perfect when your arms are around the one you love. Last Sunday, we were lucky enough to spend the evening with Victoria and Santos exploring Church Street and around Lake Eola for their engagement photos. We first met Victoria at the Florida Wedding Expo show we did back in January. We immediately hit it off, and we loved hearing about her plans to be married at Disney! We scheduled a consultation meeting with her and Santos so we could get to know them both a little better and learn some more about their wedding plans. While getting to know Victoria and Santos more and learning about their wedding, we couldn’t help but love their vision. They are getting married at one of our favorite Disney Resorts, Port Orleans Riverside, and holding their reception at the Atlantic Dance Hall. Victoria and Santos want their wedding to have a unique feel that isn’t overly Florida, and they wanted their engagement session to have a similar feel. We opted to go with Downtown Orlando where they is more of a cool urban feel. Victoria and Santos brought along some books as props that help tell a bit about themselves and their relationship. When they pulled out a baking book and a Dungeons & Dragons book, we knew we were going to be great friends. Amanda and I are self proclaimed geeks, and Victoria’s baking book was right up Amanda’s alley while Santos’ D&D book was right up mine! 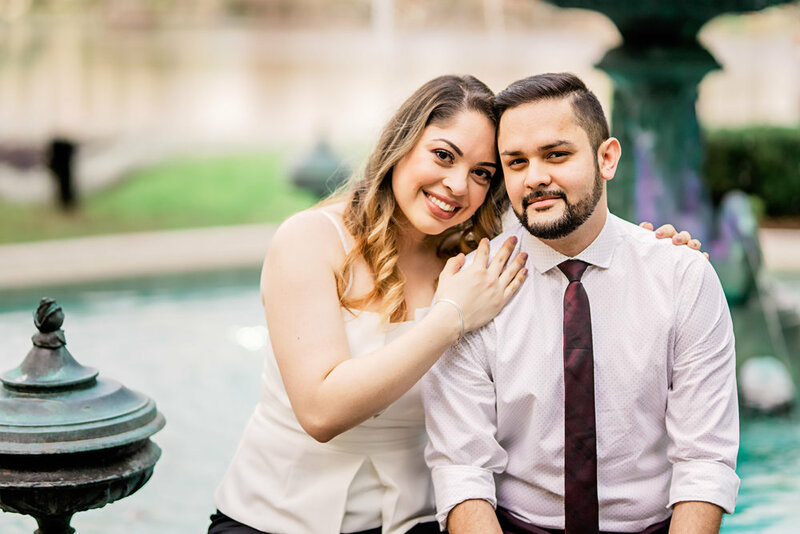 We are always excited to capture a couple’s engagement photos, but we were beyond excited to find out we had so many things in common with Victoria and Santos! Once we finished around Church Street, we made a short walk down to Lake Eola, where we were able to capture some gorgeous shots around the iconic Orlando landmark. 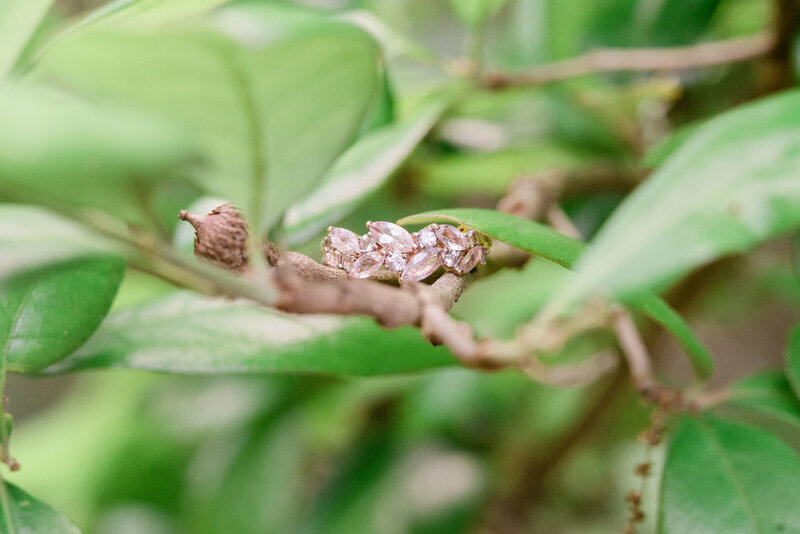 We love how Victoria and Santos’ engagement photos turned out, and we hope you feel the same way!